The most serious criminal charge, murder, can carry the risk of the most serious of all penalties: death. The state of Illinois believes these matters need to be handled with great care. It will not allow just any lawyer to provide criminal defense when capital punishment is involved. Only attorneys who have met the strict qualifications to be admitted to the capital litigation bar are certified to handle these matters. 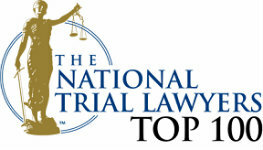 At John W. Callahan, Ltd., we have this certification. This means we have the energy, the experience and the knowledge to defend people accused of murder and facing the death penalty. To speak within minutes with an attorney certified by the Illinois Supreme Court to handle capital cases, call us at 1-877-335-6697 today. You can also e-mail us. 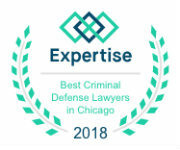 At John W. Callahan, Ltd., we have decades of experience serving people in Chicago, Schaumburg and the surrounding parts of Illinois. Attorney John Callahan is available to put his knowledge to work for you. If someone in your family has been accused of murder, we can help. We believe in going for the win. We believe in keeping our clients out of jail and keeping records clean. To achieve our goals, we will not hesitate to bring in investigators and experts to look into every possible option. We work hard to build strong cases designed to prevent people from facing the severe penalties that come along with a conviction on homicide charges. There was a time when cases involving murder and the death penalty could be handled by any attorney in Illinois. Time after time, these situations were mishandled by unqualified lawyers. The state decided that too much was on the line for this to keep happening. Now, only lawyers who are members of the capital litigation bar are certified to take on these cases. Mike Norris has this certification; he has been certified by the Illinois Supreme Court as a member of the capital litigation bar. At the law offices of Michael T. Norris, Ltd., and John W. Callahan, Ltd., you will find a team of attorneys ready to take on these serious cases. We will go for the win, and we will start immediately. Even in these serious cases, our intention is to keep our clients out of jail and to keep their records clean. By turning to investigators and experts, we will strengthen our case. We will see that every option is considered and every opportunity to succeed is pursued. We welcome the challenge of defending people who have been threatened with the death penalty and other severe penalties that come along with murder charges. Call us at 1-877-335-6697 to speak within minutes with a criminal defense attorney with the experience to take on the most serious murder cases.